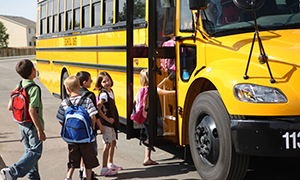 We offer bussing from local schools to our safe facility and constant supervision by trained educators to supervise and help your child with their homework! Our after school programs are designed to provide children with a safe and constructive environment after their school day. During this time, our licensed educators can help students with their homework or provide them with fun and creative activities to stimulate their growth. FREE healthy snacks are provided every day. Next Generation Academy will provide safe and reliable transportation from the following schools to our facility, so you’ll always know where your child is from the moment you drop them off to the time you pick them up here. The schools listed below vary from year to year depending on the number of children needing pick-up. Hollywood Academy Of Arts and Sciences. We offer All Day Daycare during holidays, teacher planning days and early closings. We know balancing work and life is hard and we’re here to help any way we can. Prepare your child for a competitive future with our creative Pre-K program!